Trail 104.4 mm / 4.1"
Rear Wheel Travel 135 mm / 5.3"
Front Rim 3.50 x 17"
Rear Rim 5.50 x 17"
Length: 2228 mm / 87.7"
Width (incl. morrors): 856 mm / 33.7"
Height (excl. mirrors): 1095 mm / 43.1"
Wheelbase 1585 mm / 62.4"
The British division of BMW Motorrad revealed its 2011 range, which comes with special editions, new color schemes and factory options available. 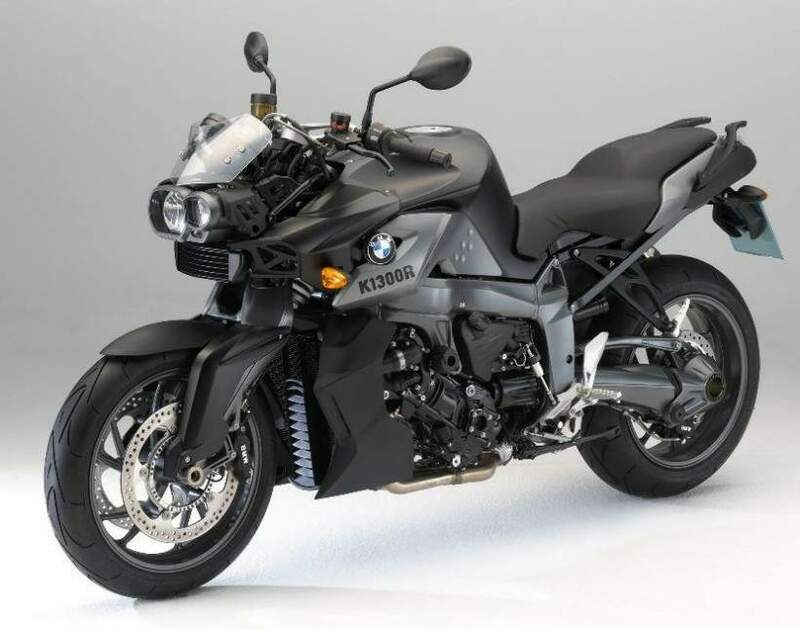 the company announced special edition motorcycle the K 1300 R Dynamic. The K 1300 R Dynamic features a selection of options and accessories (such as Electronic Suspension Adjustment 2, Gear Shift Assist, sports wheels, on-board computer, heated grips, sport windshield and LED indicators) worth GBP1,935. OTR price is GBP11,250 - a saving of GBP835. 2011 model year colour scheme.